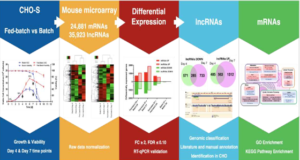 SENCR is a human-specific, vascular cell-enriched long-noncoding RNA (lncRNA) that regulates vascular smooth muscle cell and endothelial cell (EC) phenotypes. 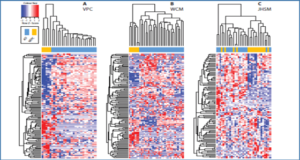 The underlying mechanisms of action of SENCR in these and other cell types is unknown. 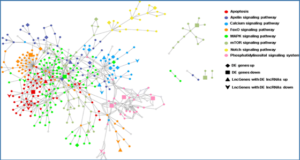 Here, researchers from University of Rochester School of Medicine and Dentistry show that levels of SENCR RNA are elevated in several differentiated human EC lineages subjected to laminar shear stress. Increases in SENCR RNA are also observed in the laminar shear stress region of the adult aorta of humanized SENCR-expressing mice, but not in disturbed shear stress regions. SENCR loss-of-function studies disclose perturbations in EC membrane integrity resulting in increased EC permeability. 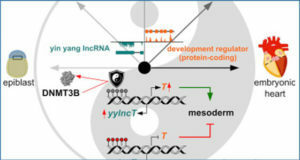 Biotinylated RNA pull-down and mass spectrometry establish an abundant SENCR-binding protein, cytoskeletal-associated protein 4 (CKAP4); this ribonucleoprotein complex was further confirmed in an RNA immunoprecipitation experiment using an antibody to CKAP4. 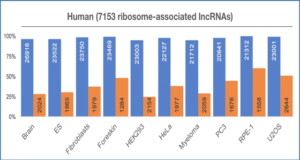 Structure-function studies demonstrate a noncanonical RNA-binding domain in CKAP4 that binds SENCR Upon SENCR knockdown, increasing levels of CKAP4 protein are detected in the EC surface fraction. 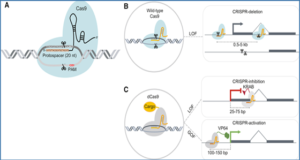 Furthermore, an interaction between CKAP4 and CDH5 is enhanced in SENCR-depleted EC. This heightened association appears to destabilize the CDH5/CTNND1 complex and augment CDH5 internalization, resulting in impaired adherens junctions. 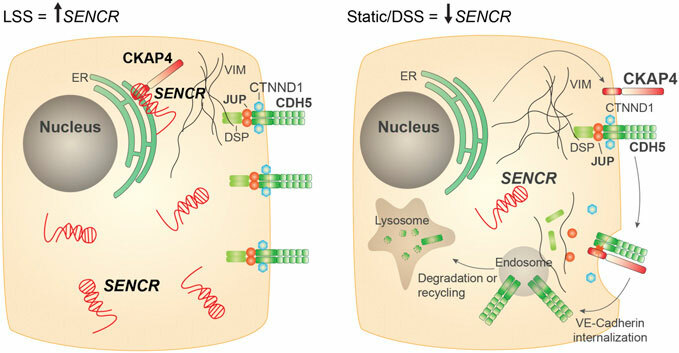 These findings support SENCR as a flow-responsive lncRNA that promotes EC adherens junction integrity through physical association with CKAP4, thereby stabilizing cell membrane-bound CDH5. EC subjected to LSS have higher expression of SENCR (Left) vs. EC under static or DSS flow conditions (Right). SENCR interacts with CKAP4 near the rough ER. In this scenario, the adherens junction is stable and membrane integrity is intact (Left). Reduced levels of SENCR, shown in this report to occur under static flow conditions or within the DSS region of mouse aorta liberates a pool of CKAP4 to localize at the cell membrane, where it displaces CTNND1, promoting CDH5 internalization and impairing adherens junction (Right).